WATERFRONT HOME WITH 80 FT OF SEAWALL JUST TWO BLOCKS FROM THE BEACH. 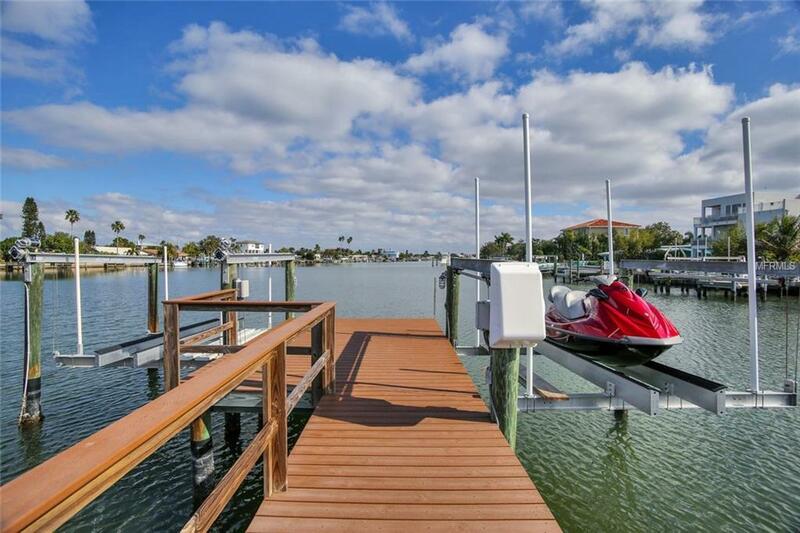 This updated 3 bedroom, 2 bathroom home of 2,012 sq ft awaits in the heart of North Redington Beach with 80 ft of waterfront on a beautiful protected bay providing long water views throughout the home. 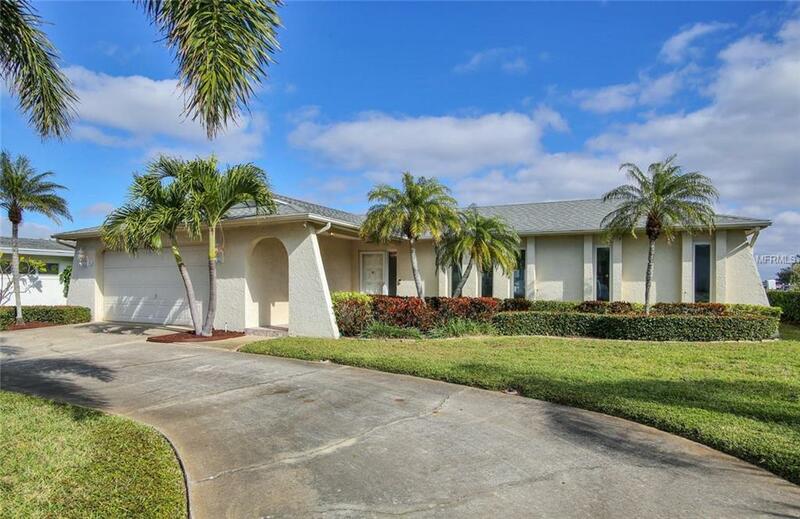 The remodeled kitchen is open to the family room and dining room and features a water view, stainless appliances, expansive breakfast bar, wood cabinets and granite counters. The family room has a wall of sliding doors framing the water view. Just off the family room is a large sun room (with AC) for relaxing and enjoying the water view. A formal living room adjacent to the foyer is perfect for family gatherings. The master bedroom connects with the sun room and features a water view, walk-in closet and completely remodeled en suite bathroom. Your family and guests will enjoy two large guest bedrooms and the beautifully remodeled guest bathroom. A two-car garage awaits the family vehicles and toys. The backyard is huge with plenty of room for a pool and features a newer seawall and composite dock with two boat lifts. 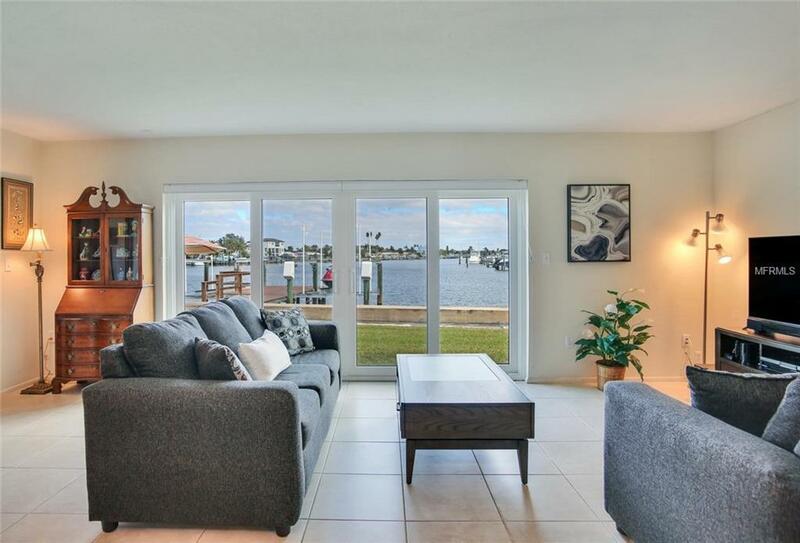 Recent updates to this amazing property include all new impact windows and sliders, updated kitchen, remodeled bathrooms and newer composite dock, seawall, water heater and water softener. 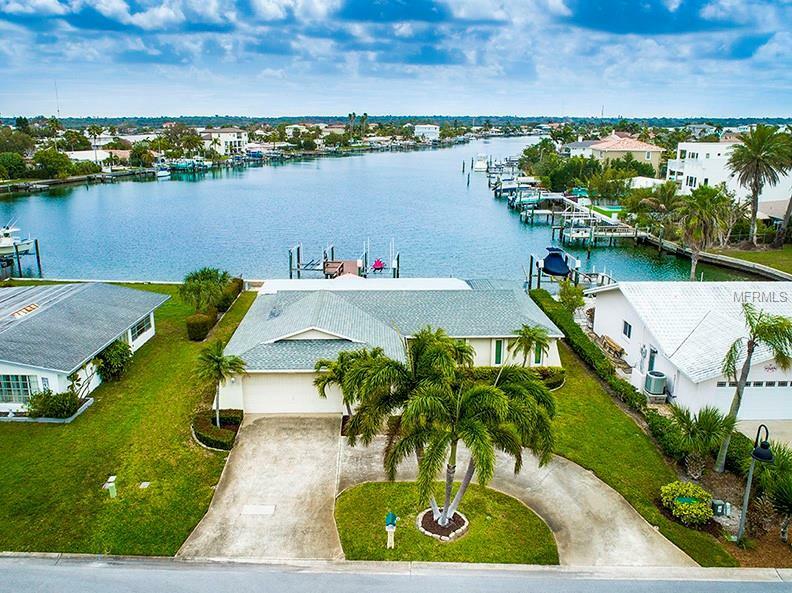 If you are looking for a true coastal lifestyle, then this lovely home is your opportunity with 80 ft of waterfront, private dock and the ability to enjoy one of the best beaches in Florida only a short walk away.